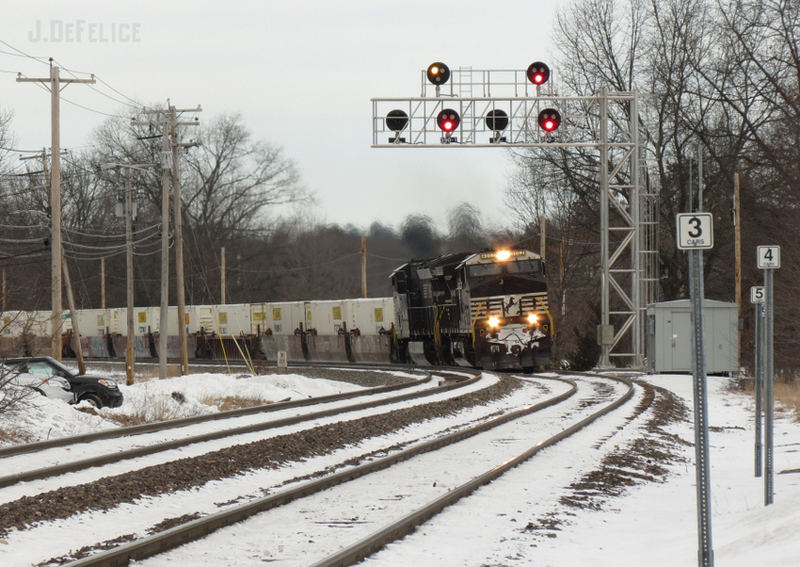 ... at Shirley MA with a DC-to-AC converted diesel in the lead. Photographed by Jonelle DeFelice, February 2, 2019. Added to the photo archive by Jonelle DeFelice, February 5, 2019.